to enhance thinking skills in older adults. You know that exercising is necessary in order to preserve muscle strength, keep your heart strong, maintain a healthy body weight, and stave off chronic disease such as diabetes. But exercise can also help boost your thinking skills. "We know that exercise behaves like medicine to improve thinking skills. There's a lot of science behind this," says Dr. Scott McGinnis, an instructor in neurology at Harvard Medical School. Exercise boosts your memory and thinking through both direct and indirect means. Direct means include physiological changes such as reducing insulin resistance, reducing inflammation, and stimulating the production of growth factors, which are chemicals in the brain that affect the health of brain cells, the growth of new blood vessels in the brain, and even the abundance and survival of new brain cells. Many studies have suggested that the parts of the brain that control thinking and memory (the prefrontal cortex and medial temporal cortex) have greater volume in people who exercise versus people who don't. "Even more exciting is the finding that engaging in a program of regular exercise of moderate intensity over six months or a year is associated with an increase in the volume of selected brain regions," says Dr. McGinnis. Is one exercise better than another? We don't know the answer to this question because almost all of the research has looked at walking. "But it's likely that other forms of aerobic exercise that get your heart pumping might yield similar benefits," explains Dr. McGinnis. He points to a study published in the January 2014 Journal of the American Geriatrics Society that found that an exercise called tai chi showed the potential to enhance cognitive function in older adults, especially in the realm of executive function, which regulates, controls, and manages other cognitive processes such as planning, working memory, attention, problem-solving, and verbal reasoning. That may be because tai chi, a martial art that involves slow, focused movements, requires learning and memorizing new skills and new movement patterns. Dr. McGinnis recommends establishing exercise as a habit, almost like taking a prescription medication. And since several studies have shown that you can reap the cognitive benefits of exercise in six months, he reminds you to be patient to get results, and then continue exercising for life. Aim for a goal of exercising at a moderate intensity—such as brisk walking—for 150 minutes per week. Start with a few minutes a day, and increase the amount by five or 10 minutes every week until you reach your goal. Does mental training improve thinking skills? Look for programs that teach strategy skills and use some computerized training. Exercise isn't the only way to keep your mind sharp. The evidence is clear that you also need to challenge your brain in order to keep using it, with activities such as reading or crossword puzzles. But what about training intended to improve your thinking skills, called cognitive training? 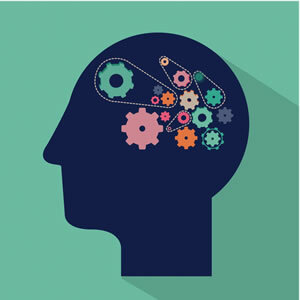 A study published in the January 2014 Journal of the American Geriatrics Society found that as few as 10 cognitive training sessions helped older adults improve their reasoning ability and processing speed, which translated to less difficulty in performing important everyday tasks. The training sessions were largely strategy-based—such as tricks to remember word lists—and there was some computerized training. The benefits lasted as long as 10 years. So should you sign up for cognitive training? "I do recommend it, but only programs that tailor treatment based on a person's goals, strengths, and weaknesses," says Harvard Medical School psychology instructor Dr. Kim Willment. She advises that you look for programs that teach strategy skills and use computerized training to improve certain cognitive functions, such as attention and concentration. Want to sign up? Neuropsychologists usually offer cognitive training programs.